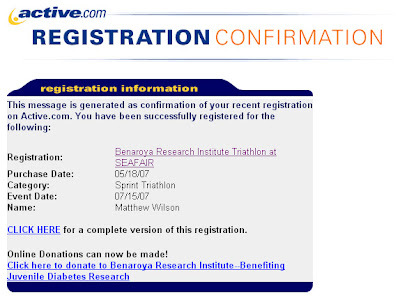 I just signed up for the Seafair Triathlon. It doesn't seem that hard... .5mi swim, 12mi bike, 3mi run. Should be an interesting experience tho! Adam's doing it too, along with my buddy Greg and I think Ben.